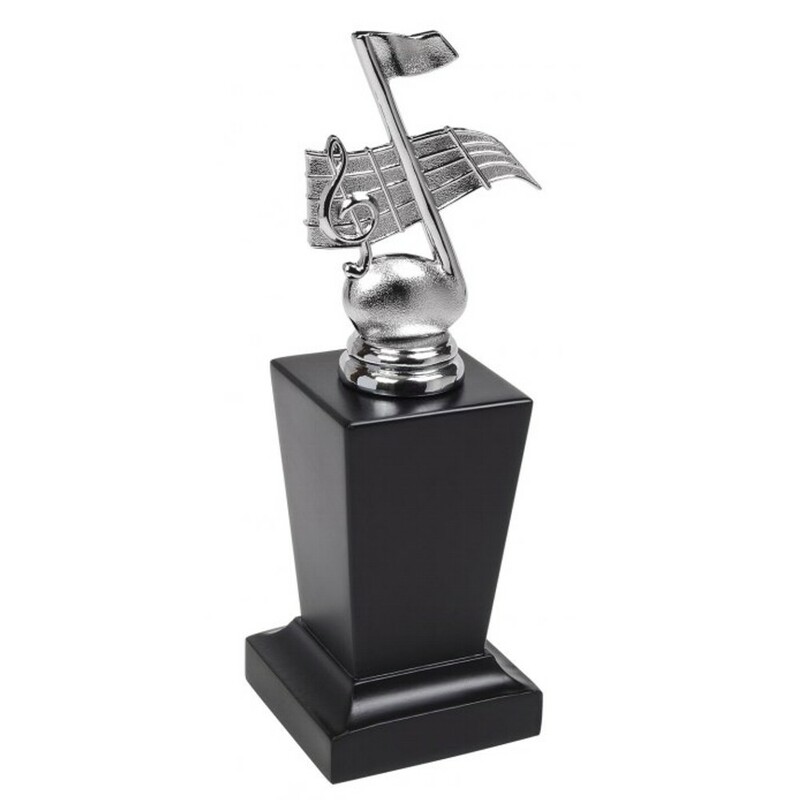 This unique silver chrome Music Note Treble Clef trophy is a superb award. The highly polished figure is mounted onto a black wooden type heavy base. 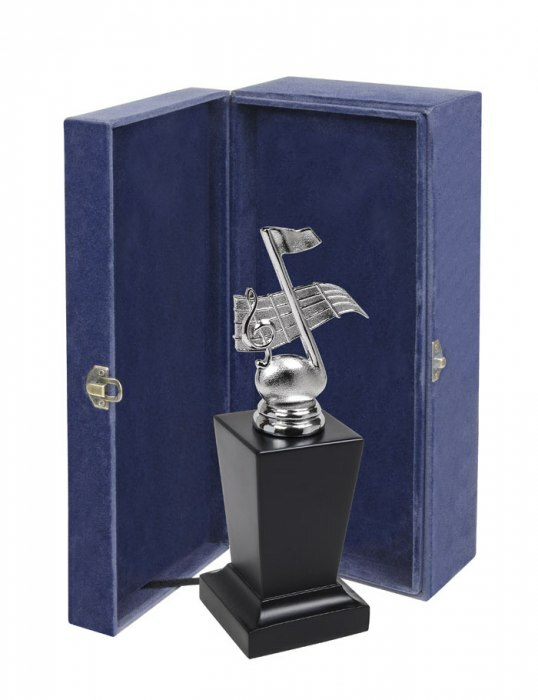 The award stands 8.25 inches (210mm) in height, the base is 70 x 70 mm. A superb great weighted award.